David Hasselhoff wears black Activist Model 10.02-03 sunglasses in the Piranha 3DD. 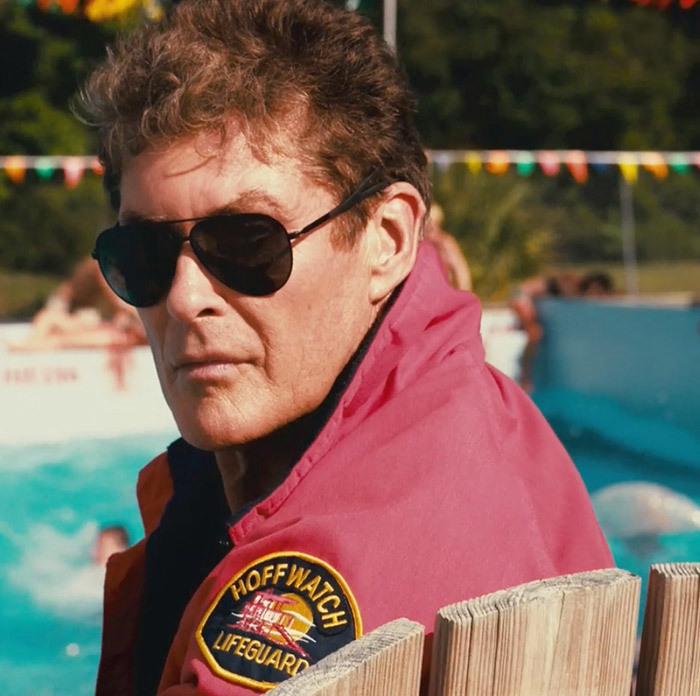 David Hasselhoff wears black Activist Model 10.02-03 sunglasses in the Piranha 3DD (2012). The glasses have unique v-shaped arms and that detail can be seen on the photo of Hasselhoff on the set of the film. 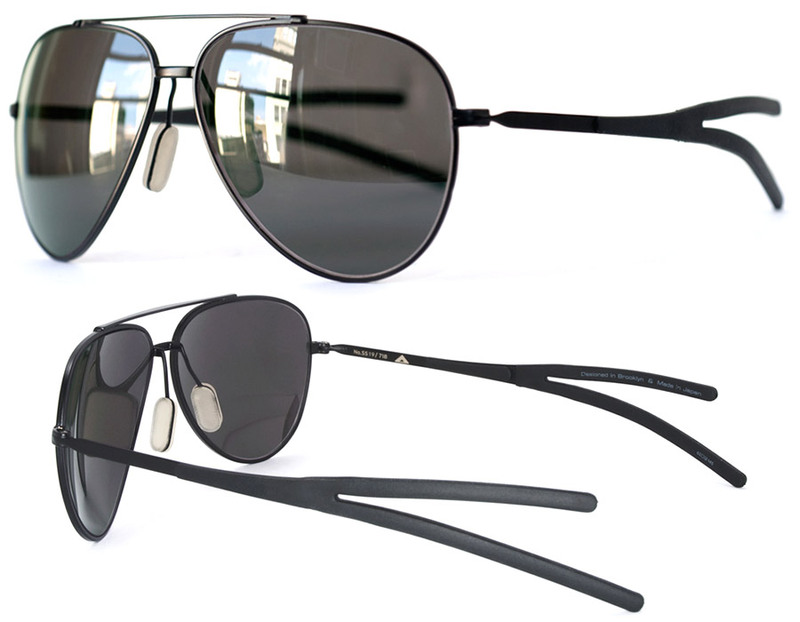 The frame is made from surgical grade stainless steel, has fingerprint textured nosepads, soft rubber temples, and ActiVIZmTM Polarized grey lenses. Activist Eyewear is designed in Brooklyn and each pair of Activist frames is crafted in Japan. The glasses were worn by a few celebrities including B.o.B., Yasiin Bey (Mos Def), Black Thought, but since 2016 the brand doesn't seem to be very active online. The Model 10.02-03 sunglasses are still mentioned on the website for $450 though.